Setting an intention. A promise. Maybe to do something good for yourself. Maybe to help someone else. Definitely a big and important concept for kids. And it's something that kids really respond to, give a lot of thought to, and take very seriously. I talk a lot about how active we are in Butterfly Kids Yoga classes, but equally important are the mindful moments that we share. One way that we re-center is by setting an intention at the beginning of class. I may ask the kids to close their eyes and make a promise to themselves, and then we revisit this in our Talking Stick sharing circle at the end of class. It's pretty powerful and honestly, very touching at how kids can do this. Easily, effortlessly, and innocently. Just this week, here are some of the intentions that kids in my classes have set. An intention. A promise. An intent to do better, be better. Which ever way we call it, it's paving the way for our kids to be mindful, be kind, do good and simply make a difference. My promise, my intention, to the kids of my Butterfly Kids Yoga classes is to always give them a great class, an outlet for themselves, an opportunity to exercise, a chance to have fun with other kids, and of course, an opportunity to be mindful, calm and relaxed. What is your intention today? Whatever it is, make it a good one -- and know that you can make it happen. PS. 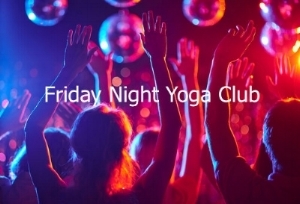 I hope you can join us for our upcoming events and classes (starting this Friday, 7/14!) Always great blend of "yoga active" and "yoga calm" in each class. Mini kids yoga session, fun games, bracelet making, hair styling, healthy refreshments, swag bags, and more! Browse Athleta Girl apparel (sample pop up will be in-store) and receive FREE shipping when you purchase online at the store. This is a free community event! An active yoga & dinner night for your kids + parents night out for you! Healthy, fun and active. Plus, coupons for you to Fairport Brewing Company, FairPour Cafe and CoreLife Eatery with purchase! Click here to enroll. 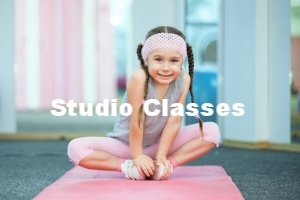 Take a great yoga class for yourself while your kids enjoy a Butterfly Kids Yoga class in the studio next door. Amazing line up of adult instructors and sweet nighttime yoga for kids. Adult and kids passes sold separately. Check out the adult instructors, view details, and enroll here. Celebrate summer and prep for school with yoga camp! Active yoga, fun yoga-games, great music, crafts, yoga water activities, journaling (for older campers), healthy snacks and mindfulness tips for school. Ages 5-8 @ 9:00-11:30am. Ages 8-12 @ 1:00-4:00pm. Flexible enrollment -- come for all 3 days (best value) or choose the days that work for you! Check out details and enroll here. Weekday and weekend classes for when your schedule allows! Click here to view the schedule and enroll. 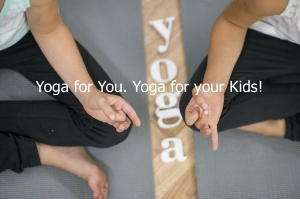 A great way for kids and siblings to participate in a weekly yoga class! The second summer session of Butterfly Kids Yoga at the Perinton Rec Center has a few spots available. 10:00-10:45am (3-8 yrs old). Wednesdays 7/26-8/23 (4 class session, no class 8/2). Click here to enroll. *Registration is directly through the Perinton Parks & Recreation Program.